When we talk about lase bore sighters, we need to start a bit with the basics. Boresighting is in fact a method to adjust an optical firearm’s sight (or iron sights) which aligns the firearm barrel and sights. The boresight is used to pre-align the sights and makes zeroing in (zero drop at a certain distance) much faster. A bore sighter (or collimator) is needed to complete the action. The boresighter features an optical head and a bore-diameter arbor, places into the muzzle of the rifle. The optical head is afterwards attached to the protruding end of the rod. The grid pattern from the optical head helps aligns the sights with the barrel. Traditional bore sighting implies that the bolt is removed and sighting down the bore of a gun to a specific point. The scope or irons get adjusted to aim at the distant object once the rifle is held in place. Modern bore sighting uses a laser and not a visual inspection to illuminate the distant point. The new method allows more movement in the gun and the laser dot doesn’t move relative to the barrel. On a plus side, the laser bore sighting doesn’t request the removal of the bolt. Bore sighting gives you a reference point from which you start sighting in your gun, but also saves you time, ammunition and protects your shoulder from unnecessary recoil. The traditional and oldest way is to remove the bolt on a bolt action rifle and position it so it’s pointing at the bullseye of the target about fifty yards away. Of course, you need to secure the gun and to adjust the elevation and windage turrets until the reticle is placed in the center on the bullseye. For the obvious reasons, you can’t do all this with a semi-auto, lever gun, pump or…most handguns. Another efficient, but also old, way to bore sight is by using a collimator and arbors. The collimator is a device with a graph-paper-like grid in it and you may see it through your scope. It’s held in place by arbors inside your barrel from the muzzle end. A spring or an expanding plus hold them in place and they are sized for your caliber. You adjust the windage and elevation turrets as you look through the scope. You must size the spuds (arbors) precisely. Many collimating boresights feature more arbors. The most convenient method is the magnetic boresight. You simply attach it to your muzzle with strong magnets. Magnetic bore sighters fit all calibers and gauges and you don’t need other parts. You may also need magnetic bore sighters to check zero after moving your guns, dropping or heavy using them. Sight in your gun and see where your crosshairs end up on your boresighter’s grid. Write down the placement the check zero. Laser bore sighters project a laser beam from an arbor or spud inserted into your muzzle. Some laser bore sighters are sized for a specific cartridge case and you simply insert into your gun’s chamber, closing the action. You do need a reflective target when using the laser bore sighter in order to reflect your laser beam. This target must be placed at some distance and you have to hold your gun steady in order to center the scope’s crosshairs onto the laser’s dot. You need to shoot the gun with a certain type of ammo, at a specific distance as no boresighter is able to sight in a gun. Every type of ammo has a specific point of impact. Another great thing about boresighting is that it informs you right away about any problem with mounting or scope adjustments. This means less money, less ammunition spent and less physical effort from recoil. Once you define yourself as a shooter, there’s no way you can shoot without a boresighter. Period. The kit includes the BSB223G green laser and the following arbors: AR243, AR264, AR3006, AR3030, AR762, AR20GA, AR12GA, AR22-250, AR270WEA, AR270WSM, AR300WEA, AR300RSUM, AR375HH, AR7MWSM, AR8MM and AR50. When it comes to the parts we like less, we can only think at the fact that you need to wait up to 2 months until you get it. But it’s totally worth waiting for it. All in all, you get a good, efficient laser bore sighter that has its limitations. The next level model from SiteLite is the SiteLite Ultra Mag Green Laser Professional Boresighter. These cons are not deal breakers though and the Wheeler laser bore is one good investment for your shooting experience. All in all, the Bushnell Boresighter is an efficient bore sight, with limited performance, but reliable for the means it was designed for. But, for the money you pay, the AimShot laser bore is a reliable device for your sighting. 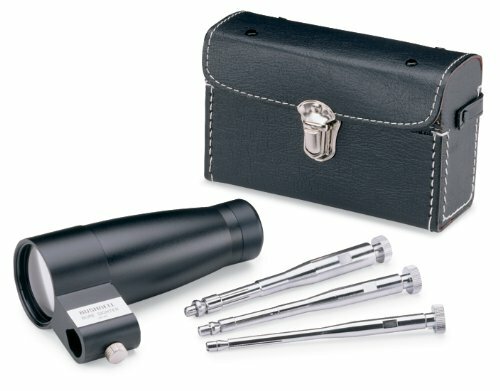 You may want to check out the sighting kit for pistols as well.